The Irish Peatland Conservation Council’s head office is located in the Bog of Allen Nature Centre, Lullymore, Rathangan, Co. Kildare. The Nature Centre is located on the mineral soil island of Lullymore and is surrounded by Lullymore Bog, the largest raised bog complex occurring in the Bog of Allen Landscape. Take the Maynooth/Naas/Straffan exit from the N4. At the roundabout take the R406 to Naas/Clane. Turn right at Barberstown Castle crossroads and follow the R403 to Clane. 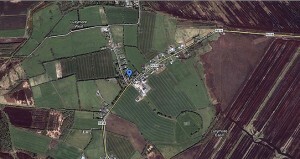 Continue on the R403 into the centre of Clane, turning off for Prosperous and Allenwood at the Corner Pub. Drive through Allenwood and take the R414 (Rathangan Road, left turn) which is approximately 1km from Allenwood over the Skew Bridge on the Grand Canal. The Bog of Allen Nature Centre is located 4km from this turn on the right hand side of the road at a junction. Turn off the N7 in Monasterevin following the R414 to Rathangan. In Rathangan continue on the R414 (Allenwood road) to Lullymore. 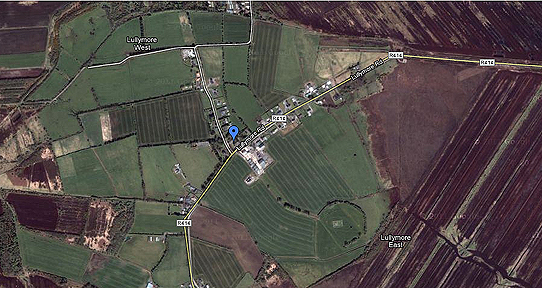 We are approximately 5km from Rathangan on the left hand side of the road after Lullymore Heritage Park at a junction. Bus: take the 120 (Edenderry) bus from Dublin’s Bus Aras which leaves every morning at 9.30am (or 9.50am from the Lucan Spa Hotel). This will take you as far as Allenwood from where you can get a taxi. If you intend to walk the four kilometres to the centre, ask the bus driver to leave you off at the Skew Bridge over the canal, just outside Allenwood. Irish Peatland Conservation Council, Bog of Allen Nature Centre, Lullymore, Rathangan, Co. Kildare, R51 V293. Email: bogs@ipcc.ie; Tel: +353-45-860133.